The day Yankee fans have dreaded is finally coming to fruition. Yankees renown shortstop Derek Jeter will be playing his final home game at the new Yankee Stadium in the Bronx, New York. Jeter, a twenty year veteran decided this season would be his last. Unfortunately, the Yankees were eliminated yesterday so Derek Jeter will not be in the postseason. It is not sure if there would be a game tonight due to heavy rain. However, MLB has stated that it will try to get the game played. The game is over with the Yankees being victorious. However, guess who won the game? If you have guessed Derek Jeter, then you are correct! The game was a bit nerve wrecking. As the crowds chanted 'Derek Jeter,' the Orioles hit a homer scoring the first run. 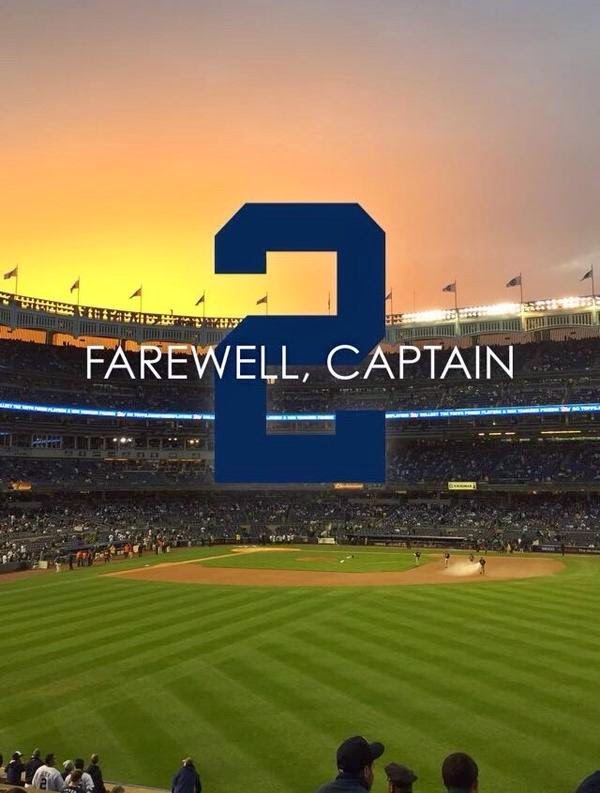 This seemed to have dampened the mood of fans looking to see the last home game of the Yankee shortstop. They continued until the Orioles hit another homerun. However, Jeter would come up and hit a double bringing in the first run of the game. The Yankees would eventually take the lead. Jeter was obviously nervous. He looked emotional at times perhaps thinking that this was his final game and it would be the last time that he saw the crowd, heard the noises and played the game on the field. 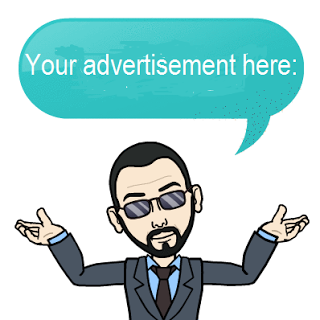 As the 7th inning came, everyone thought it would be Jeter's last at bat. The game looked like it would go in the Yankees favor until consecutive home runs would tie the game in the 9th. Yankees closer David Robertson blew the save. However, in the bottom of the 9th inning with a Yankee on based, Derek Jeter would come up and hit one of his famous 'Jeterian' hits and brought in the winning run. The stadium blew up with excitement. Jeter ended his last game at the new Yankee Stadium in a magical way that seemed scripted. Only Derek Jeter can come into the batter's box and bring about what seems to be impossible plays that put the Yankees on top. It is no wonder why they call him "Captain Clutch." His fellow players came on the field to embrace him. As he was celebrating with them, some of his older team mates were by home plate waiting for him: former manager Joe Torre, Jorge Posada, Mariano Rivera, Andy Pettitte, Bernie Williams, and Tino Martinez. Their presence along with the end of the game signaled the end of an era. 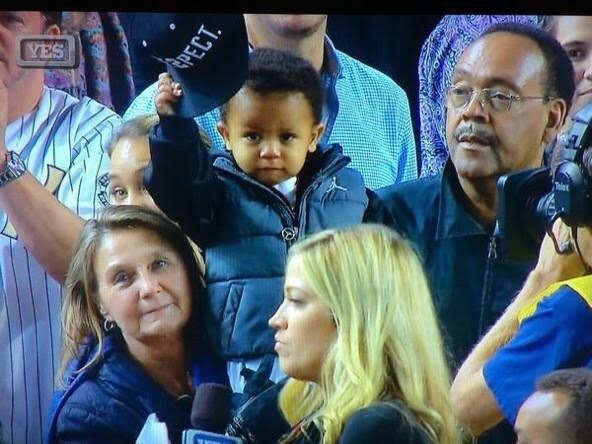 Jeter's family was also present. We got a glimpse of his nephew Jaylin even tipping his cap to his uncle. 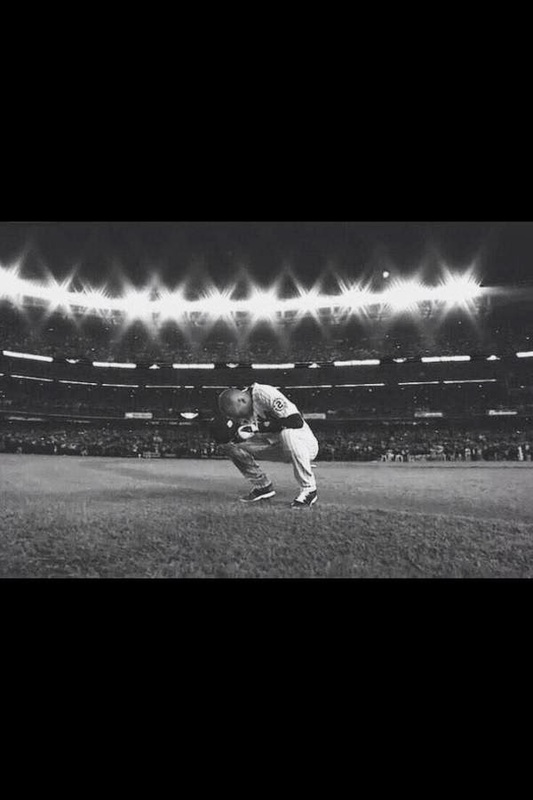 There will be no other player like Derek Jeter. He is truly a legend and will be missed. 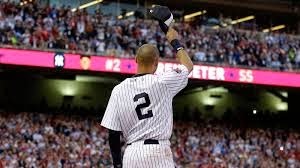 He deserves nothing more than Re2pect for being such a great player and class act who at the end of the game congratulated the Baltimore Orioles for making it to the playoffs even stating that they deserved it. Derek Jeter is a true role model in the sports world for young people. game at the old Yankee Stadium was played with the same time. What a coincidence that Jeter's last game at home was with the Orioles. It is interesting to note that the Yankees were once the Orioles. They were moved to New York and were called the "Highlanders."